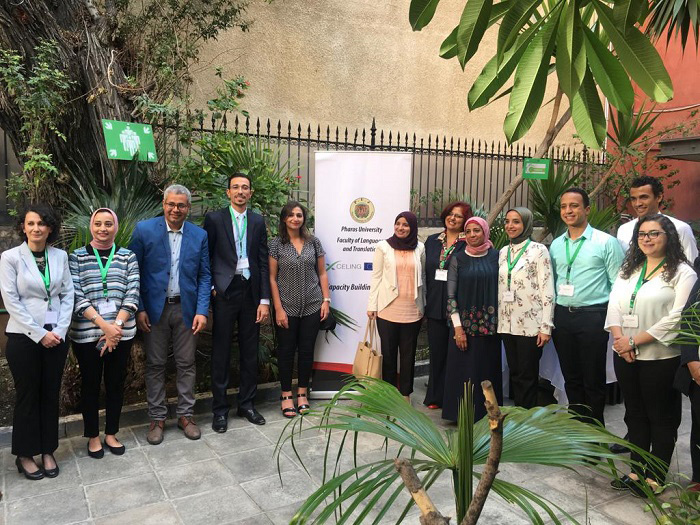 Pharos University was pleased to participate in symposium held by the faculty of Arts – Alexandria University on the Erasmus+ XCELING Project. The symposium was held in the French Cultural Centre in Alexandria on Saturday 27/10/2018 where a synopsis was given about the project and the scholarships it provided to raise the standards of foreign languages teaching proficiency. The symposium was attended by a considerable number of academic staff members from Pharos, Alexandria, Cairo and Helwan Universities.